Music is EVERYWHERE! Inside our cars, in stores, when we're on hold, in movies, on television... it's coming out of my computer right now! The other day, I was remembering how I came across my all-time favorite band, Switchfoot. 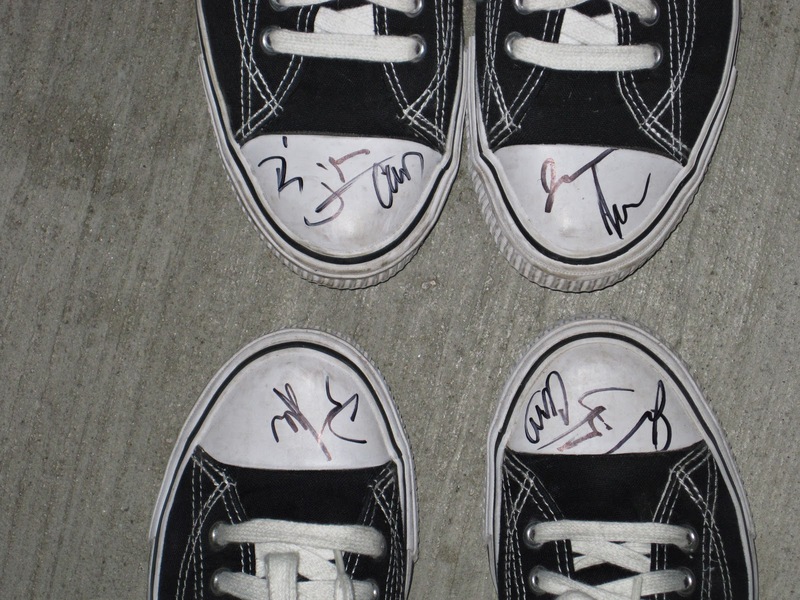 It's the most random of stories, but I'm thankful for it, as it's literally changed my life... and my shoes. I was still in high school, watching a cheesy Disney movie called Model Behavior about a girl who ran into someone that looked just like her and they switched places. It had Justin Timberlake in it, so of course I watched it. Being the music nut that I am, this song came on in the movie and I fell for it. Forget Justin, forget everything but this song. 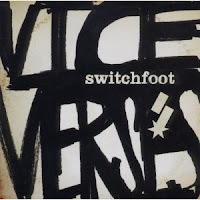 I hopped online and researched the soundtrack (this was before iTunes) and found out the band's name was Switchfoot, the song: Let That Be Enough. Then I stumbled across their CD in a bookstore and I remembered that was the same band. I bought it and quickly became OBSESSED. I shared it with my parents, and they became equally obsessed. Together we've watched this band put out five MORE albums (seven altogether.. I think), loving each one even more. Their concerts are family bonding time, I tell you. 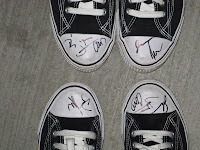 So, that's my big story about how I became an accidental Switchfoot fan. 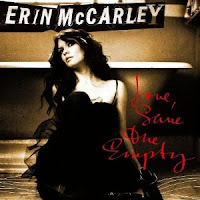 Here are some flash stories about why I'm listening to some other great artists you may love too! 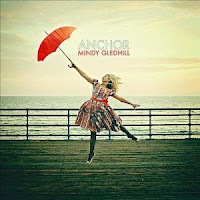 The song Anchor was on an episode of Bones and I fell in love with it. After previewing the album snippets on iTunes I knew I had to have the whole thing. It's such a great addition to my playlist! 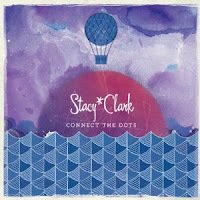 iTunes suggested this because I bought Stacy Clark's Connect the Dots. They were so right! I LOVE it! I don't make a habit out of watching the country music video channel, but out at the lake, it's pretty much the only channel that works. 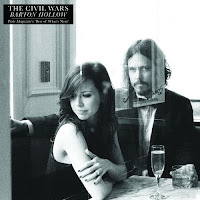 When I was there almost a year ago, this amazing song called Barton Hollow came up, and I googled the band on my phone. Turns out, this duo is one half Joy Williams, and I was a fan of hers from WAY back. I'm an even bigger fan now. These two are amazing. Check out their Christmas songs too. WOW. When I worked in a cubicle a couple years ago, I often traded iPods with the guy that faced me (we used our OWN earbuds, don't worry! ), and this album was on his. I still love it... even though it makes me picture sitting in a cubicle sometimes. hahaha. This song was on an episode of Revenge. It's gorgeous. From the movie Easy A. Such a fun song. Did anyone else fall in love with Finn's rendition of this song? It's the way Greg Laswell sings it, as heard in the movie Confessions of a Shopaholic. I don't know what it is... but I LOVE this version. It's such a sweet song, and it makes me think of the relationship between Katniss and Prim. So that's it for this edition. I hope I've introduced you to some new music! Have you randomly run across your favorite songs too? How? And what are they? Thanks for all the music recommends too. I am always on the prowl for something new. i totally discovered Adele like 3-4 years ago i think, when on so you think you can dance, one of the auditioners danced to her song Turning Tables. Now I have to go visit iTunes! I'm always getting songs from TV shows and movies. I'll try to focus on the chorus to remember what the song title might be. That happened once at a B&B, too. I LOVE Switchfoot. I first found them through the movie, A Walk To Remember. And just the other day I saw they were playing for the football game montage. So exciting. They seem like really grounded guys. As for your other artists/songs, many I haven't heard but now I'm gotta check them out. oh my, Model Behavior brings back so many memories. I was obsessed with NSYNC, but I was more of a JC gal than Justin. So cool you go to those concerts with your parents!! Thats wonderful you could find Switchfoot when you did. I'll have to check out those songs you mentioned! 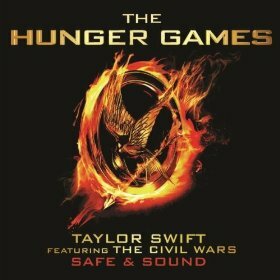 Is that Taylor Swift one actually on the Hunger Games soundtrack? I bet it'll be a good soundtrack! My favorite Switchfoot song is Meant To Live - just beautiful! I find a lot of new inspiration through Pandora. Thanks for the songs. I'm going to look some of these up. I love how a song comes to me. It could be on TV, in a movie, or I hear a faint few notes in a restaurant. It's as if I'm meant to hear these tunes.